Palm Springs sporty pullover bra top featuring signature scallop detail with cross-hatched texture and raw edge for a seamless look. Offers supportive band under the bust. 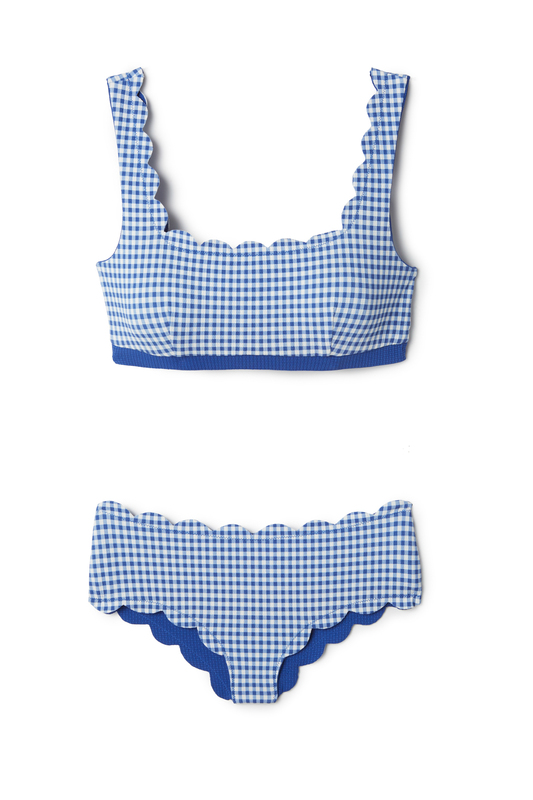 Reverses to gingham pattern. Marysia pieces are made from premium Italian stretch fabric and cut by hand in a couture factory to ensure luxurious fit and quality.